What comes to mind when you think of the golden hour? To a birth professional, the term likely brings thoughts of bonding between mother and baby during the first moments after birth; while a photographer probably imagines the beautiful warm light on either side of each day as the sun rises and sets. Separately, these golden hour occurrences are beautiful moments in time, but it’s almost impossible to describe how beautiful it is when the two collide. As a birth photographer I always look forward to documenting the mood and atmosphere at each birth. I think one of the most beautiful aspects of birth photography is that each birth story is so different; greatly dependent on the environment and lighting. My own babies arrived at night, and I’ll admit that I’ve always been slightly partial to photographing middle of the night births when the world seems still and quiet. But this daytime birth was a special one; filled with love, laughter, and the most beautiful light. The atmosphere of this Kennestone Hospital birth couldn’t have been more perfect for this Mama. She’s an incredible Atlanta wedding photographer who is the talent behind A. Bloch Photography and appreciates the warm glow of a golden hour sunset. Beautiful warm sunlight spilled into Amanda’s hospital room as she brought her sweet boy into the world, and their first moments of golden hour bonding were awash in a sweet and joyful glow. I’m so grateful to have been invited into her birth space to document these beautiful moments and tell her birth story with a mix of color digital + black and white film images. Welcome to the world sweet baby; you are so loved. If you live in the Metro Atlanta area and are interested in having your labor and delivery documented, I’d love to hear from you! Contact me here to schedule a birth photography consultation and reserve your due date! I’d be honored to be your birth photographer and look forward to hearing from you! 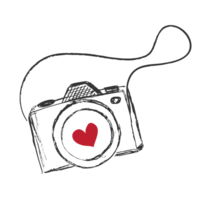 For more information about birth photography, be sure to check out some of my Atlanta Birth Photography FAQs here!